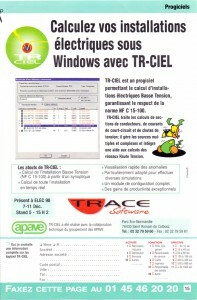 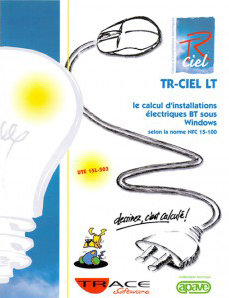 Developed by Trace Software with the technical partnership of APAVE, the first version of the electrical calculation software of low-voltage installations was commercialized in 1997 under the trade designation TR-CIEL and receiving the same year the technical opinion UTE 15L-503. 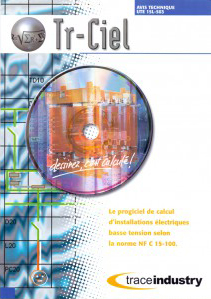 Major technical evolutions come next to enrich the functionalities of the software and reinforce its characteristic of dedicated professional tool. 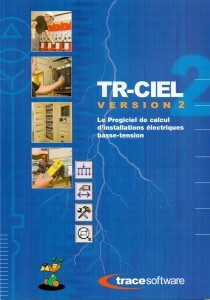 Since the version 3.3.3 released in April 2010, the TR-CIEL software has changed its name into elec calc™ in order to pursue its international expansion. 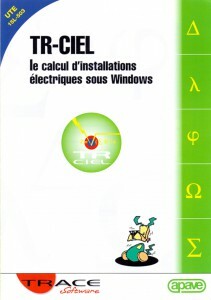 Today, elec calc™ is available in 5 languages (French, English, Dutch, Spanish, Portuguese). 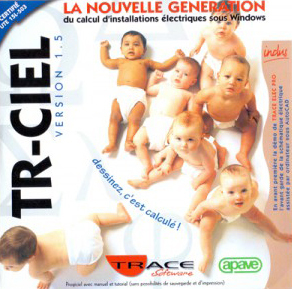 3000 licenses were sold in the world. 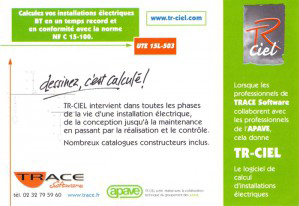 A cable sizing version for smartphones is also available (aCable BT and iCable BT) since October 2011.